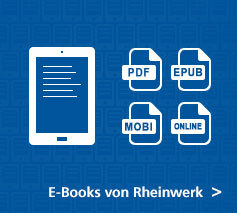 Manage your payroll processes in the cloud! 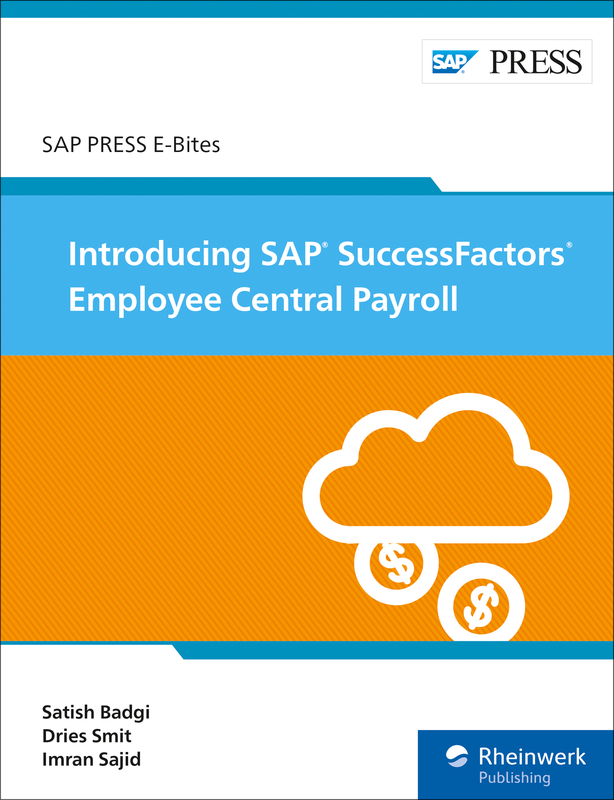 Wondering how to take payroll to the cloud? 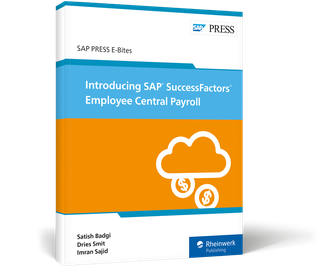 This guide to SAP SuccessFactors Employee Central Payroll has the answers you need, from functionality changes to your configuration options. 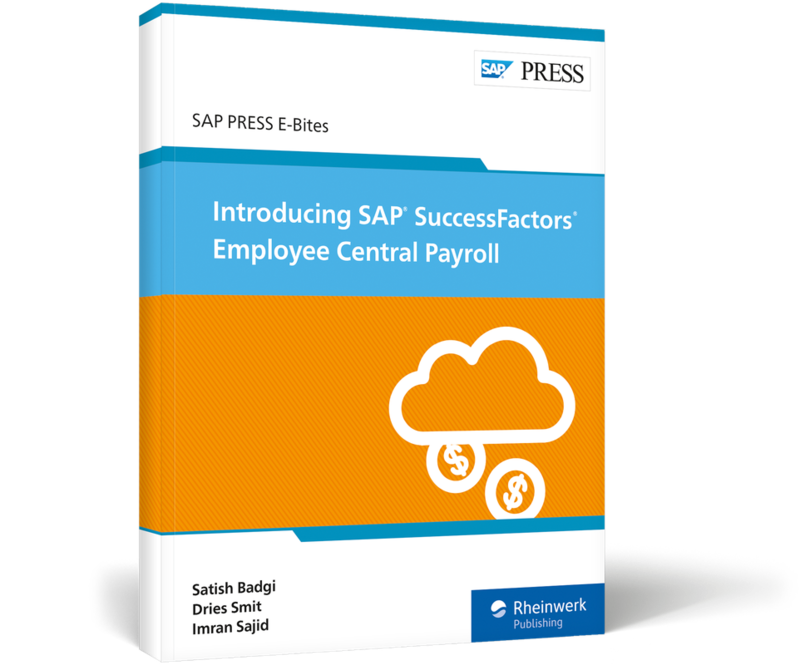 Learn how payroll master data for wages, benefits, time, and attendance is handled in the cloud. Then explore your key payroll processing tasks with system screenshots. 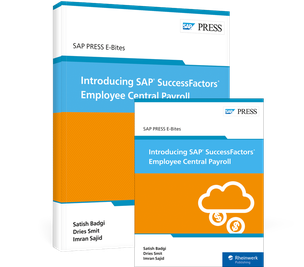 From Employee Central integration to cloud implementation, discover Employee Central Payroll! 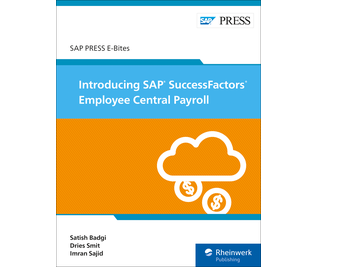 Satish Badgi has been involved in global SAP SuccessFactors implementations over the last five years. Imran Sajid is Director of HCM Solution Management at SAP based in Atlanta, Georgia. 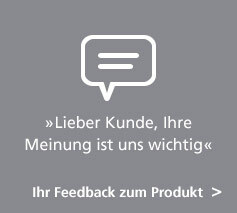 He considers himself to be a voice of the customer inside SAP, where he works on strategic solution management with a focus on global payroll.